Last summer, I shared how I used the last cup of coffee in the morning. I put it in the refrigerator and drank it as iced coffee in the afternoon or after lunch. When it got cold, I didn’t want iced coffee anymore. If I left the coffee in the pot and warmed it up in the afternoon, it was stale and usually really strong. One day, I got out my travel mug and poured the coffee in it. I put the lid on it and put it in the refrigerator before it cooled down. It actually helped keep it fresh. I warm it up in the afternoon. It’s 18 degrees out right now and I am ready for that last cup! 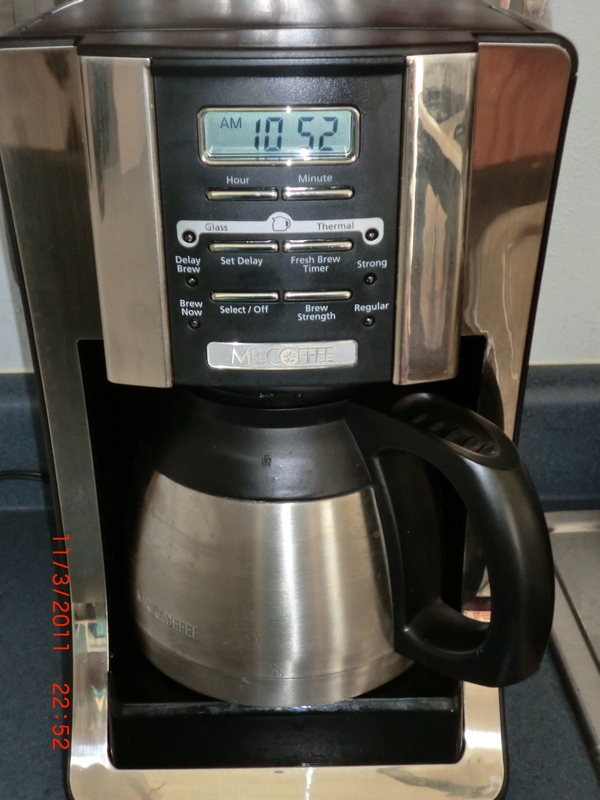 This entry was posted in Food, Money Saving Ideas, Use What You Have and tagged Food, last cup of coffee, Money Saving Ideas, Use What You Have by Frugal Fish. Bookmark the permalink.